See what Dabney is saying! 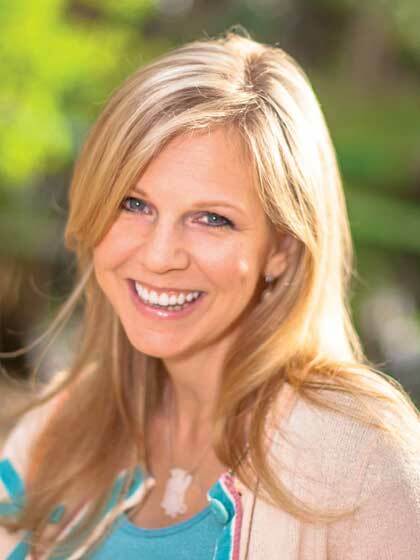 Dabney Hedegard is a writer, speaker, and professional patient. When Dabney was twenty-five-years-old, a football-size-tumor entangled vital organs in her chest, alerting doctors to the cancer attacking her body. But the source of a greater fear grew inches below the mass: a six-week-old baby. The disease and the decision to keep her child marked the beginning of Dabney's battles with nine life-threatening illnesses and four near-death experiences. Dabney graduated from Palm Beach Atlantic University with a BA in theater. In addition to writing for the Good News newspaper, Dabney speaks at local churches, MOPS groups, women's conferences, and crisis pregnancy centers. She and her husband, Jason, live in South Florida with their four children. The Hedegards attend Calvary Church in Jupiter. Dabney enjoys interacting with readers on her website, www.dabneyland.com.